Whenever I attempt to explain things about the economy to friends and family, their eyes glaze over, they give a few head nods and grunts of approval, but really they just wait for a chance to change the subject. Similarly, when I express my enthusiasm for baseball, people act surprised exclaiming, “But baseball is so boring!” So, with baseball season starting I could not miss the chance to compare my two boring passions: baseball and the economy. Here are eight ways baseball is like the economy. 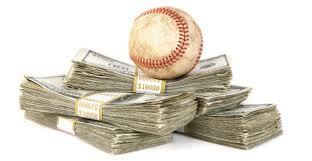 Ben Bernanke likes baseball; Bud Selig loves money. Most Americans don’t understand the economy or baseball and failed to understand comparison number one. From Shoeless Joe’s “BlackSox” to Pete Rose’s betting, to Barry Bonds’ needles, the number of baseball players that we can’t trust is rising ….. we are still looking for an economist that we can trust. Despite millions of dollars and thousands of hours spent to predict winners and losers neither economists nor baseball analysts ever get it right. Health care matters. With 107 injured baseball players making hundreds of millions of dollars and Obamacare costing Americans $30.8 billion, both need health care reform. Being a Cubs fan is like the sequester – foolish. Congress needs to create a better spending reduction plan. Cub’s fans, please, you can enjoy baseball – be a White Sox fan. Tags: baseball, Ben Bernanke, Bud Selig, economy. Bookmark the permalink.